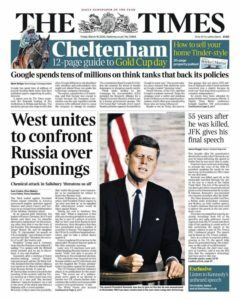 What if technology had advanced so much to allow JFK to finally, after 55 years, deliver the Trade Mart Speech that he was due to deliver on that fateful day in Dallas? Working with tech company CereProc we created The Dallas Trade Mart Speech – a world first, an AI audio speech made completely out of data. 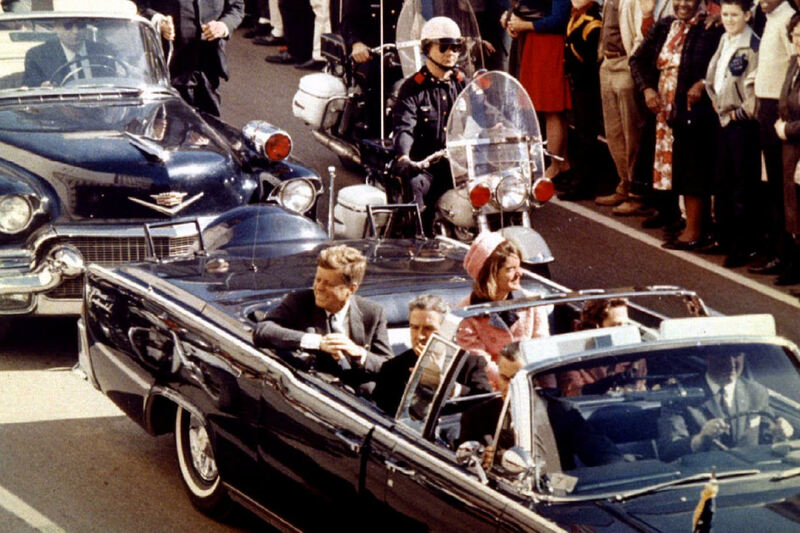 Nov. 22, 1963: The presidential motorcade on its way to the Dallas Trade Mart. “There are only 40/45 phones in English so once you’ve got that set you can generate any word in the English language. The problem is that it would not sound natural because one sound merges into the sound next to it so they’re not really independent. 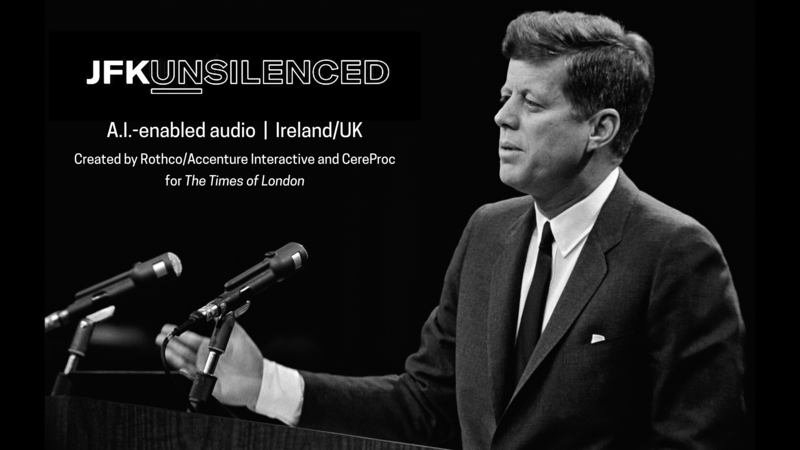 You really need the sounds in the context of every other sound and that makes the database big,” Chris Pidcock, co-founder and chief voice engineer at CereProc in Edinburgh, said. . . .
Once a database of the cleanest sound units was built, a new computer system was employed to recognise and recreate Kennedy’s oratorical style. This required feeding data from his speeches into a computer until it learnt the patterns in his delivery. Then, when the speech was put in, the system could tweak it and make it more natural. “Bas Korsten, creative partner of JWT Amsterdam and a member of the Creative Data jury, said that the complexity of the project, the impact of the campaign in wider media and the fact that the technology is now being used to help ALS patients all contributed to its win. 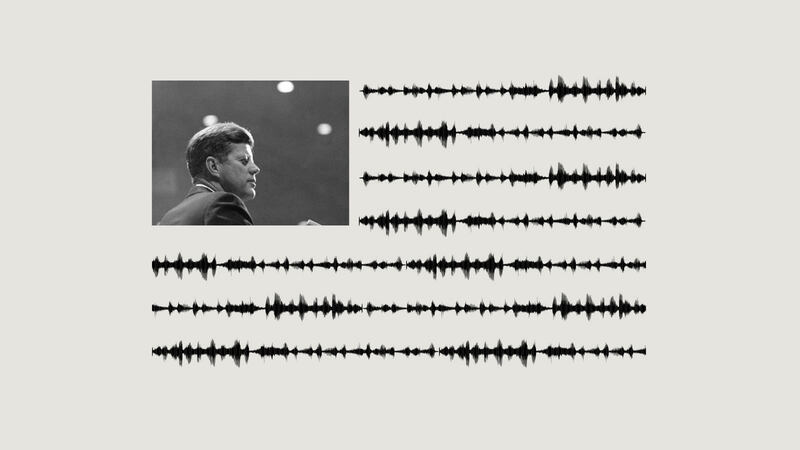 “Cannes jurors said that while JFK Unsilenced set a new bar for audio restoration and engineering, it also posed plenty of ethical questions about how this technology might be used moving forward.